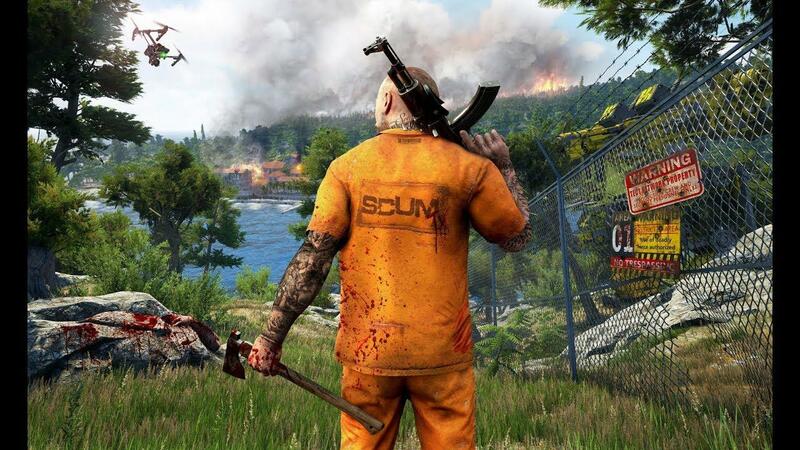 SCUM [Steam], an open world survival game from developer Gamepires (produced by Croteam and published by Devolver Digital) is shaping up to be one of the most exciting releases this year and it seems Linux is in their plans. We will probably support Linux but after first initial EA PC Windows release and probably before any console relelase. We are using UnrealEngine 4 so there is no connection with tech used by Serious Sam 3 but I don't think we will have any problems porting game to Linux. They didn't go silent on it like some developers do, they said again in January that "Linux will be very likely supported very soon but not on EA release date." and they also mentioned in July that "Linux will play with other PC players when is done.". Given how often they've confirmed it, I think we can say this is quite likely. For another look at it, check out their recent developer livestream that's up on YouTube. The ridiculous customization, along with the decent graphics and special event system all sound rather enticing. That's on top of NPCS, animals, realistic bullet physics, a team system and so on all have me rather hyped. If you do want to see it on Linux, a good idea would be to say so in this Steam forum topic and to add it to your wishlist. Ensure you've set Linux as your platform perference in Steam's account preferences page (at the bottom). It's due to release for Windows today, so hopefully with Steam Play if people decide to check it out on Linux anyway you will end up as a Linux sale…I would be surprised if it worked there though, since it likely has anti-cheat (which often doesn't work with Steam Play's Proton/Wine). Updated post with the actual release trailer now. Don't remember even hearing about it until now. Yay for more open-world games! I hope it's not just pvp though, and given the game is tagged with single player, I guess it's not. The lack of regular co-op/mp tags, and just having online tags, is concerning to me. Woaaah.. First time hearing about this game. Looks really good and i hope to see it on Linux sooner rather than later. Probably won't bother with SteamPlay on this, unless someone reports it to work flawlessly. From the gameplay I've seen so far its like a more polished version of DayZ. In fact the graphics engine is VERY similar but probably not the same, they've done a good job at replicating that dayz look and inventory/loot system. Another survival game in Early Access. Can't even recall the amount of them anymore and still waiting for a decent one to be actually released. Hard pass. Have any of you ever seen the movie Condemned with Stone Cold Steve Austin? I distinctly heard the Wilhelm Scream in the trailer too. They definitely gone for that arma dayz interaction and appearance look. For now only windows servers on offical provider but Linux will play with other PC players when is done. Not sure if the word "done" is referring to Linux client, or EA period.